Travelling together is a wonderful way for extended families – grandparents, parents, and kids – to enjoy quality time and share new experiences. 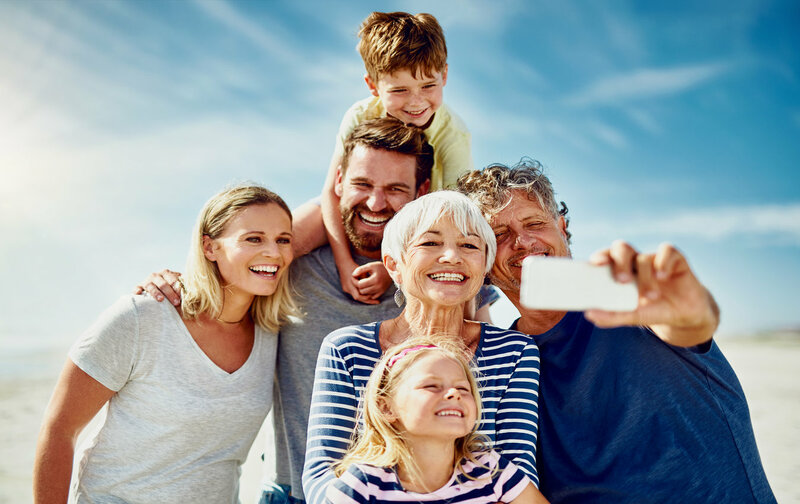 Vacations involving three or more generations have become a top travel trend in recent years, as many Baby Boomers – four in 10 of whom are grandparents – remain healthy and active into their senior years. Multi-generational (or intergenerational) trips can be fun, memorable and rewarding, but it takes careful planning to ensure that everyone’s needs are taken care of. Try these ideas for planning a trip that the whole family can enjoy. Where do people want to go? What activities do they want to do? How much are they willing to spend? Ask each member of the group about their desires, expectations and concerns. People are more likely to feel enthusiastic if they have a role in planning. Encourage each traveller to speak up about any health, fitness, dietary, allergy or sleep concerns. Seniors may have varying energy levels, physical abilities and health needs. (For seniors with higher needs, it may make sense to bring a personal care worker along for the trip.) Check that everyone has adequate health and travel insurance. Remind everyone to renew any prescriptions they need before the trip. Depending on your destination, you may also want to get travel vaccinations – some take several weeks to complete, so start early. Your itinerary should include fun options for each generation, as well as activities the whole group can enjoy. For example, kids might want to visit a zoo or amusement park, but that may involve too much walking or standing for grandparents. Likewise, grandparents might want to visit cultural venues that hold little interest for children. Find ways for everyone to enjoy their “must-see” attractions and still spend time together. Choose your travel style wisely. Certain types of travel cater well to multi-generational groups. Cruises and resorts are popular because they’re incredibly convenient, and they make it easy for everyone to have a good time together and separately – alone time is important, too. Cruises and resorts typically include meals, activities, and entertainment, and many offer recreational programs for kids and teenagers. Accessible rooms may be available for travellers with mobility issues. Major cruise lines have a doctor onboard. Not everything will go as planned – and that’s okay. When travelling with seniors, parents, and kids, it’s almost inevitable that plans will change. Flexibility and patience are key. Preparing for the trip well in advance can help prevent minor hassles – such as last-minute scrambles to renew passports, fill prescriptions or find suitable clothing or footwear. Help everyone get ready by providing a printed itinerary, a packing list (including important documents such as passports and visas, doctors’ letters and details about health and travel insurance) and some background information about your destination. While it may take more effort to plan a trip with grandparents, parents and kids, it’s a special opportunity for your family’s generations to create new memories – and see the world at the same time!